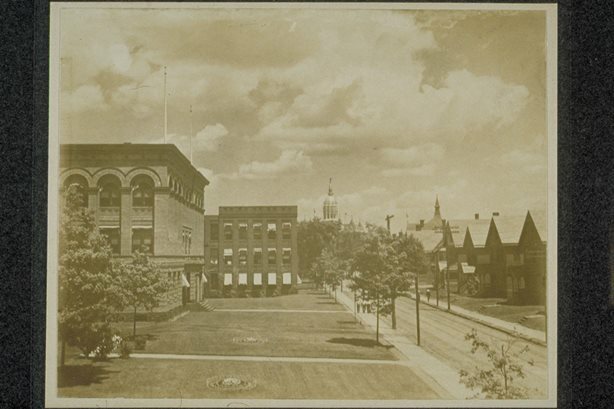 In 1894, Colonel Albert Pope, of Columbia Bicycle and Pope Manufacturing fame, donated (what eventually grew to) 90.5 acres to the City of Hartford for a park. Pope originally purchased Bartholomew Farm close to his business complex to expand his factories and to create 1,200 homes for workers in planned villages. The economy and infrastructure complications undermined those efforts, however, and instead of building, he hired renowned landscape architects the Olmsted Brothers to design and landscape the former farm for his workers and city residents to enjoy. The Olmsted brothers completed the park design in 1898 and, in its original form, it contained ponds, recreational open space, tennis courts, and outdoor gymnasiums. 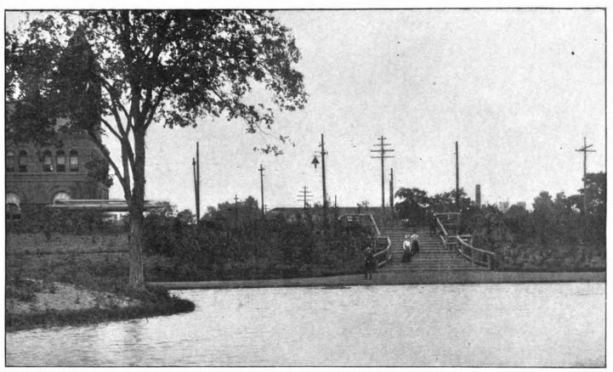 While Pope Park served its Frog Hollow neighborhood well at the end of the 19th century, it was not unique to Hartford at the time. In fact, the trend toward setting aside land for passive recreation was incredibly popular and Hartford embraced it. In a little over a year—from August 1894 to November 1895—five parks (Pope, Keney, Riverside, Elizabeth, and Goodwin) totaling approximately 1,200 acres were left in trust and established along the city’s periphery. Before 1850 the area in which Pope Park resides (now known as “Frog Hollow”) was mainly farmland. It sat on the outskirts of Hartford’s downtown and contained both a river and a newly built railroad—a perfect place for burgeoning industry. Sharps Rifle Company was the first large manufacturer to come to the area, trailed by The Weed Sewing Machine Company; others soon followed. When Colonel Albert Pope moved in, his empire, which is said to have rivaled Samuel Colt’s from decades earlier, further transformed the neighborhood. His bicycle and automobile manufacturing business created hundreds of jobs which, in turn, created the need for more area housing. A building boom ensued and countless multi-family houses sprung up. Farmland disappeared and in its place came housing and streets, creating a 35-block neighborhood around the factory sites. 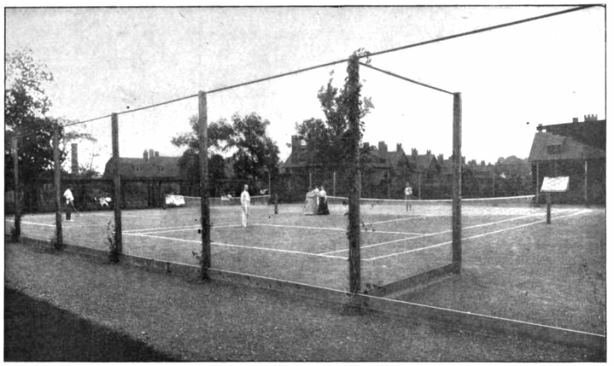 In the first half of the 20th century, Pope Park was a place for residents to gather for celebrations and events. Thousands flocked to the park to witness fireworks displays and enjoy band music. On the 4th of July in 1935, a fireworks display even honored the state’s 300th birthday. As the decades wore on, the city faced large-scale deindustrialization. Factories closed or moved away, leaving large building complexes abandoned and in disrepair. Workers moved away, seeking new opportunities. The Frog Hollow neighborhood’s popularity began to decline. Some would argue that the neighborhood encompassing Pope Park today retains little of its past grandeur, but many Frog Hollow residents revere their neighborhood’s history and architecture. 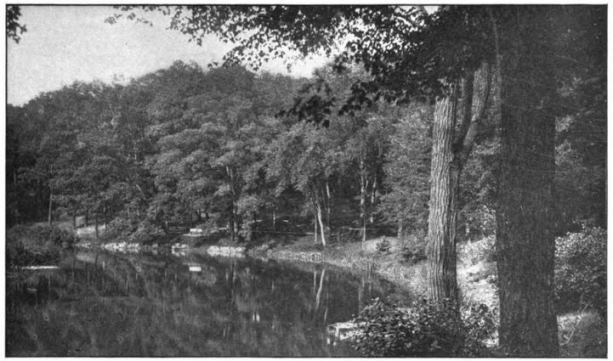 In 1979 the district was placed on the National Register of Historic Places, and at the turn of the 21st century, Friends of Pope Park, a local group that aims to preserve the park, helped to develop a master plan to revitalize it and ensure Pope Park serves Connecticut residents in much the same way it has for more than a century. “A Guide to the Hartford City Parks Collection.” Hartford History Center, Hartford Public Library, 2013. Link. Carol R. Johnson Associates Inc. “Pope Park Master Plan, 2001.” Friends of Pope Park Master Plan Committee, 2016. Link. Epperson, Bruce D. Peddling Bicycles to America: The Rise of an Industry. Jefferson, NC: McFarland & Co., 2010. L.H. Nelson Company. Souvenir of Hartford. Portland, ME: L.H. Nelson Co., 1908. Link. American Book Exchange. The Picturesque Parks of Hartford: Bushnell, Elizabeth, Pope, Keney, South, Riverside with Sketch of the Smaller Pleasure Grounds of the City. Hartford, CT: American Book Exchange, 1900. Link. Campbell, Susan. “Frog Hollow’s Industrial Heyday.” Hartford Courant. October 27, 2014. Link. Marteka, Peter. “Hartford’s Ring of Parks.” Hartford Courant. October 24, 2014. Link.